I would like to thank the Star for yet another interesting and amusing satirical cover story. It seems the editorial team has decided to grace us with their wit on a regular basis and I am not complaining. The spin on the news was a surprisingly effective way to highlight the ridiculousness of Bangladesh's real news. It was perhaps a little scary how close to the truth it was, but the writers were successful in their journalism spoof. I would like to particularly commend the Star's policy of not taking political sides. You take a bite out of both 'teams' and this allows readers like myself to conclude political alliance has nothing to do with editorial policy. Bravo! My favourite sections from last week's cover story were the 'Queen-sized Conspiracy, Fail' and 'Friction Writer Wanted For Rabid Assault Brigade'. The g-chat between Gill Bates and the Queen was a really hilarious twist on not only important people but on older people and their inability to get to grips with modern technology. My parents were unable to appreciate the piece with the joke on apples and changing windows whereas my sister and I couldn't stop laughing as it reminded us so much of something our aunt once said after she attempted Facebook. I really enjoyed the added touch in the blurb at the beginning, explaining how such a piece of dialogue was 'recovered'. I hope the writer does not get into trouble before she escapes the country! 'Friction Writer Wanted For Rabid Assault Brigade' was also a great read. However, I would go as far as to warn the Star of its influence. I wouldn't be surprised if someone contacted them or the (I hope) bogus email in the fake job advert seriously seeking the job. This country never ends to surprise me with the conspiracies, the disappearances and inconsistencies so what's to say some idiot won't actually think 'Rabid Assault Brigade' uses fiction writers as spin doctors and PR disaster control officers? Last month's Hay Festival has featured heavily in many of The Daily Star's publications and this was no exception in the Star magazine last week. 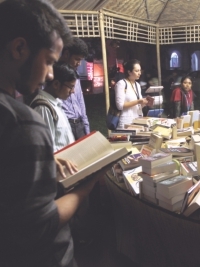 Columnist Farah Ghuznavi shared her thoughts on the event, where she launched her commendable anthology of short stories by Bangladeshi women, Lifelines. I did not attend the event, so I feel like I have missed out on some valuable discussions and cross-cultural exchanges. The interview with Pakistani Kamila Shamsie is one such example. I have read her novel Burnt Shadows and have found her to be a very capable writer. She spoke about how being a woman and a Pakistani does and doesn't affect her writing. I am sure the Star will feature more stories on the tragic fire that killed more than 100 garment workers in a factory, but I would like to say that I'm really glad your editor Aasha Mehreen Amin spoke out in last week's issue. Strong voices like hers are needed to point out to the powers-that-be that declaring a day of mourning and offering a pathetic compensation package is not enough to excuse the loss of so much life. These people were not rich or educated but that is absolutely no excuse for their right to life to be any less valued than that of a lawyer or doctor in this country. It is a shocking reality that we have to learn from such terrible 'accidents' and it is an even more shocking reality that more often than not, we do not learn or change enough before the next tragedy shows us our inability to make the lives of the poor and working class matter. 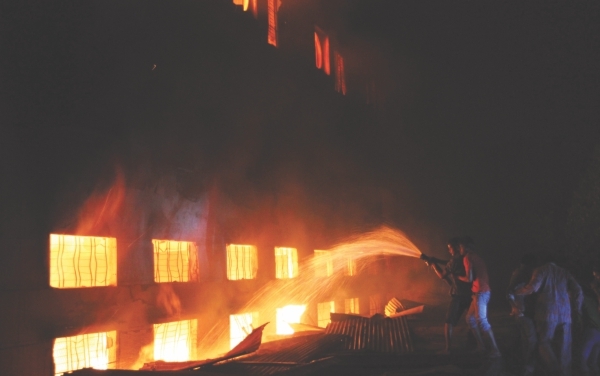 An acquaintance of mine and owner of a garments factory not far from the site of the horrendous fire said recently that it was appalling for so many people to die. His has not been put to the test I know, but he assured that if a fire was to start at his factory, workers would be able to leave in an orderly and safe way and the loss of life would be preventable. He said that previous fires have taught factory owners this and it is highly suspicious that this could happen after the last fire that killed too many a few years ago. It is a travesty that the President of this country is a politically impartial representative. Your current affairs piece on 30 November 2012 hit the problem on the head: in a three year period, President Zillur Rahman has granted clemency to 21 people sentenced to death while his predecessors in more than three decades only gave clemency to four people! I was not aware of some of the people pardoned for their crimes until reading this write-up, but I am sure I am not the only one horrified at how the office of President has been misused. I guess it is a surprise and blessing that this misuse is only evident now and has not been going on since our country's independence but this is a bad omen for the future. Not only does it set a bad precedent for the current government, which has its hands dirty in all of this, it also gives future governments ideas as how to abuse executive power should they ever get a chance to take Awami League's place in the political hot seat. What can the people of Bangladesh do about this travesty other than write letters to newspapers? This man who is giving the office of President a bad name is an appointed political head and not elected by the people. I sincerely call on my fellow patriots and compassionate human beings to not allow apathy cloud their duty to demand better of their President and elected government. We cannot forgive them for abusing the rights given to them by our fight for autonomy and democracy. The opinions expressed in these letters do not necessarily represent the views held by the Star.